Fundraising for SVA MFA fine art thesis project ! 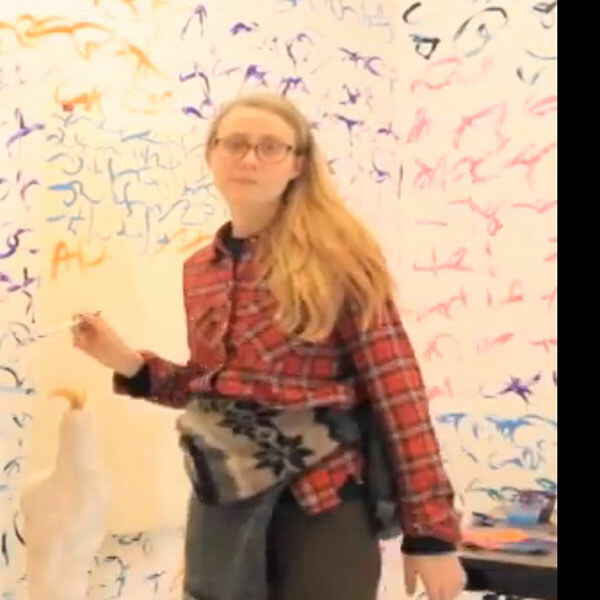 My name is Katrin Inga Jonsdottir Hjordisardottir, I am an Icelandic artist living in New York. I am fundraising for the project ART WE LEARN! ART WE LEARN! is my fine art master´s thesis project for School Of Visual Arts. I am very excited about it because it frames a specific theme I have been researching for the past two years of studies. The theme is art education from my personal experience and from various articles and theory text written about that issue in the past years. The art works will be inspired by my classmates, I have 25 classmates and they are all different artists. I will create artworks influenced by each one of them. In that way my thesis project ART WE LEARN! is a kind of group exhibition done by one artist. The ART WE LEARN! project is very much related to my past works where I often work from a site-specific perspective, and find the systems within each site fascinating. I often like to think about how the system works and the way it works. For your support I have artworks from the series You Are In Control in 5 different sizes and you are welcome to pick more than one if you like, because I think the pieces work very well in a group. The fundraising is for various art material costs - all of my classmates works are created with all kinds of material and that is a challenging extra cost for my studies. The fine art masters studies in School Of Visual Arts is very expensive and I very much think ART WE LEARN! is important for my art practice development. I sincerely think the artwork You Are In Control is well worth for your support. It is beautiful artwork and you won't regret supporting my project either. My goal is $2.000 - for varies material and tools to create 25 different pieces inspired from each classmates of mine. Anything over my minimum goal is stellar! I will use everything above my goal for printing cost of my thesis paper and school fees. My thesis paper is about art education from my point of view and it´s importance in our society! The school fees for spring semester is $18.000 and all support is grateful and you will have a beautiful art work for your goodness. I would like to see all of the pieces from the series You Are In Control getting new homes.